Adam Gertler is taking a tasty trip down memory lane to see how the candies of his youth are growing up. 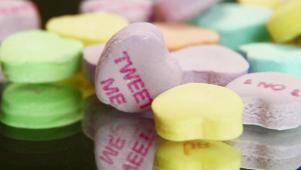 At the NECCO factory in Revere, MA, Sweethearts break with a century of tradition, rolling out in bold new fruit flavors with brand new phrases. 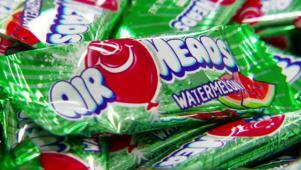 Visit Airheads in Erlanger, KY where the new Xtremes Sweetly Sour Belts stretch for miles. Go behind the scenes at Plush Puffs in Burbank, CA, to learn the gooey secret to making two-pound artisan marshmallows. 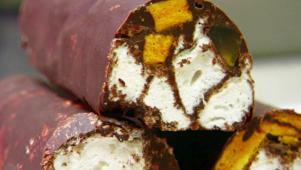 Then stop at Eclipse Chocolat in San Diego, where Orange Honey Plush Puffs meet chocolate to become decadent Rococo Bars. Classic or Xtreme, the candy we all grew up with is a neon ribbon of fun. Gourmet marshmallows meet other good things in decadent Rococo Bars. Even without a sweetheart, you can have a Sweetheart on Valentine's Day.